CB-12ML Cash Box is rated 5.0 out of 5 by 2. 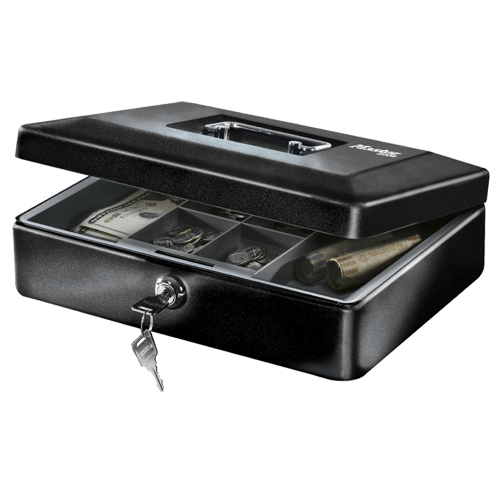 The Master Lock Cash Box CB-12ML offers reliable and durable security with solid steel construction and a privacy key lock. 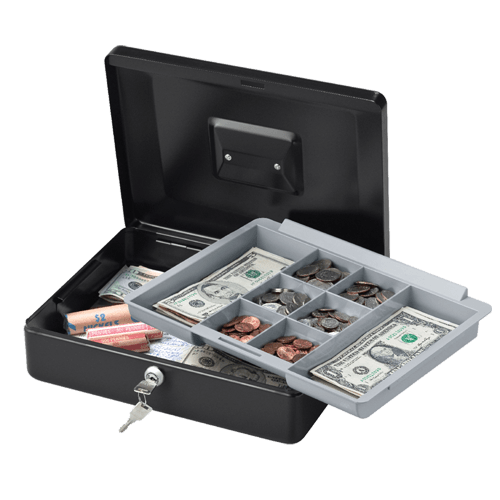 A convenient fold-away handle provides easy transportation of your valuables and a removable cash drawer keeps your currency organized. This versatile storage unit is ideal for both home and business needs. Rated 5 out of 5 by Eddie H from Excellent purchase This cash box fits my needs perfectly. I like the color and the locking mechanism. The removable cash tray makes the box useful for other purposes. Rated 5 out of 5 by jlo57 from strong and secure i have another safe. very well made,safe,secure . !